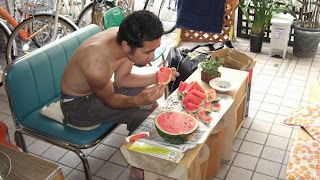 Speaking of Japanese summer, we can't talk without SUIKA (watermelon). My image of summer is that "eating suika sitting on veranda wearing yukata hearing buzzing of cicadas being bit by mosquitoes. (Even for the last one, you may be able to experience at night somewhere like cemeteries). 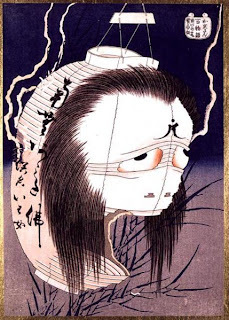 Any one must impress you greatly as a unique feature of Japanese summer!